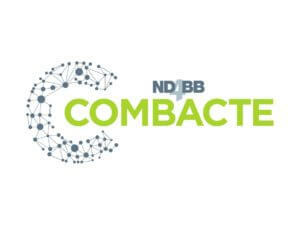 April 13, 2019 – The ARLG and COMBACTE will work together on a number of initiatives designed to fight drug-resistant infections. The U.S.-based Antibacterial Resistance Leadership Group (ARLG), part of the DCRI, and the University Medical Center (UMC) Utrecht, the managing entity of the COMBACTE (Combatting Bacterial Resistance in Europe) consortium, will work together to solidify a comprehensive global community to combat the threat of antibiotic resistance around the world. This collaboration is expected to take several forms, including joint design and implementation of clinical research, working meetings at scientific conferences like the European Congress of Clinical Microbiology and Infectious Diseases (ECCMID), and IDWeek, cross-entity working groups with diverse functional group participation, clinical trial innovations, data and protocol exchanges, and, contractual, regulatory, and systems harmonization. Earlier this year the European Clinical Research Alliance on Infectious Diseases (ECRAID) was formed, merging COMBACTE’s more than 850 clinical trial sites and 650 laboratories with the network of primary care sites coordinated by The Platform for European Preparedness Against (Re-)Emerging Epidemics (PREPARE) to form a European-wide sustainable clinical research organization for infectious diseases and antimicrobial resistance. The ARLG, with established collaborations in 19 countries, will help to expand these efforts outside of Europe. The alliance will enable innovative, flexible, and adaptive collaboration between the DCRI and UMC Utrecht. The ARLG is supported by the National Institute of Allergy and Infectious Diseases, part of the National Institutes of Health, under Award Number UM1AI104681. COMBACTE-NET, COMBACTE-CARE, and COMBACTE-MAGNET receive support from the Innovative Medicines Initiative Joint Undertaking under grant agreement n° 115523 | 115620 | 115737 resources of which are composed of financial contribution from the European Union Seventh Framework Programme (FP7/2007-2013) and EFPIA companies in kind contribution. COMBACTE-CDI receives support from the Innovative Medicines Initiative 2 Joint Undertaking under grant agreement n° 777362 resources of which are composed of financial contribution from the European Union’s Horizon 2020 research and innovation programme, and EFPIA. PREPARE is funded by the European Union’s FP7 Programme n° 602525. ECRAID is funded by the European Union’s Horizon 2020 Programme n° 825715.